Drawing on the author’s practical work from the last 20 years, Techniques in High Pressure Neutron Scattering is one of the first books to gather recent methods that allow neutron scattering well beyond 10 GPa. 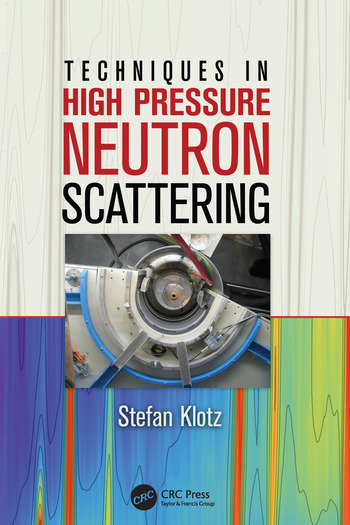 The author shows how neutron scattering has to be adapted to the pressure range and type of measurement. I was delighted when I learnt that Stefan Klotz was writing this book. He has an exceptional depth of knowledge and experience of high-pressure techniques, particularly as applied to neutron scattering, and it is to be greatly welcomed that he has drawn this all together and made it available. 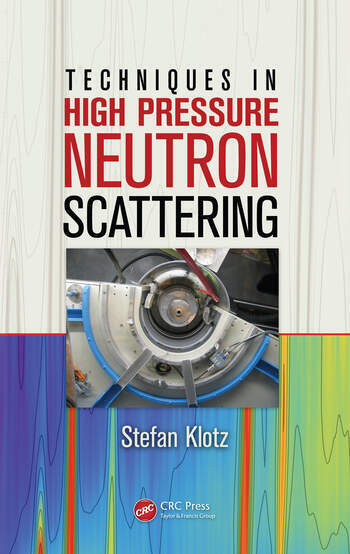 … After his 20 years at the centre of this field, there can be no one better placed to provide an authoritative and comprehensive account of state-of-the-art techniques for high-pressure neutron scattering, including all the major contemporary experimental techniques. Those who have benefited from his direct advice and assistance will know the high-level practical and intuitive skills he brings to bear on solving technical problems and advancing innovation. Throughout the book, he has included a large amount of the wealth of practical experience, working recipes and ‘rules of thumb’ that he has accumulated, working on his own research and with collaborators, but which has never before been gathered together and published in this accessible way.